I have been working on multiple Microsoft tools for my Customers and often need to perform Capacity and Sizing analysis. It is always recommended to stay within Microsoft prescribed limits for the particular technology and design solution capacity within suggested range. Below are some of the Microsoft Maximums that are from the Microsoft official documentation. 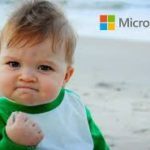 Next : How to connect to Azure Subscription?